For Odette Harris ’91, neurosurgery regularly fulfills a professional “trifecta.” It is challenging, rewarding and meaningful. Harris, a neurosurgery professor at the Stanford School of Medicine, is the first black female tenured neurosurgery professor in the country. Harris follows in the footsteps of Alexa Canady, who became the first black woman in the U.S. to become a neurosurgeon in 1981, and Frances Conley, who was the first woman to be granted tenure as a professor of neurosurgery in 1982. Harris also joins Lu Chen as the second female professor in the neurosurgery department at Stanford University. Harris said that while she always had an interest in medicine, coming to Dartmouth helped her discover her specific interest in neuroscience. She said she originally came to the College with an idea of becoming a pediatrician, but after developing close relationships with professors who encouraged her to pursue her interests, she found her passion in neuroscience. “What drove me to neuroscience in particular was the challenge of the field itself and the promise of impact,” Harris said. 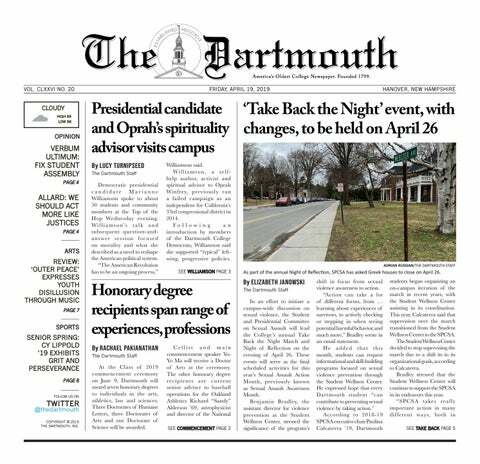 Harris said that her experience at the College was “unprecedented” in terms of the one-on-one attention and support she and her fellow Dartmouth students received from their professors. She said that peers who went to other Ivy League institutions were shocked to hear about the opportunities Harris had to work so closely with professors in classes and through research. This support and encouragement during her undergraduate years inspired Harris to continue pursuing her interest in neuroscience in medical school, she said. After graduating from Dartmouth with a degree in biology, Harris completed her medical degree at Stanford in 1996. She also completed her master’s degree in public health from the University of California, Berkeley in 2001 during her seven-year residency at Stanford. One of Harris’ mentors at Stanford while she was a medical student was neurosurgery professor emeritus John Adler. Harris described Adler as “the quintessential mentor” and credited him with helping her develop a vision of the potential impact she could make in the world. Adler, who said he never had a mentor himself as an aspiring neurosurgeon, said that his mentor-mentee relationship with Harris began when Harris sought him out to work on a research project. According to Adler, Harris’ initiative helped her hone her skills as a surgeon and as a communicator, and helped her chart her path in the neurosurgery field. “By virtue of being an excellent communicator, she’s a growing leader in neurosurgery,” Adler said. Even though she faced gender and racial disparities at both Dartmouth and Stanford, including being one of only two women in her residency program at Stanford, Harris said in an interview at Stanford that she still felt positively about her experiences and the encouragement she received to pursue her career in neurosurgery. She added that although Adler is a white man who did not descriptively represent her as her mentor, neither race nor gender inhibited their relationship. “Regardless of what I look like or what [Adler] looks like, there’s that mutual respect that’s there for what each of us values and for the value that we bring,” Harris said. Chen, the first female professor in Stanford’s neurosurgery department, agreed that inclusivity and support are important for improving diversity in the neuroscience field. Chen said that it was not until she became a faculty member that she recognized that she wanted to be a mentor for women studying neuroscience, particularly in terms of helping women who were dealing with starting families. Harris said that improving inclusivity is important for improving diversity in STEM fields as well as in other professional environments. If people assume they need to find mentors in their potential career that look like them, little progress will be made, she said. “Until we have that basic sense of inclusion as a society, it’s going to be hard to see [increased diversity] in any subspecialty, especially in the neurosciences,” Harris said.